Thanks for participating in Skimble’s 2012 New Year Programs bundle giveaway contest! Congrats to our winners, we hope you achieve your fitness goals with us soon! Heads up, we’ll be unlocking the premium programs for the winners in the next 24 hrs so they will have access to them once they log in to their accounts in the Workout Trainer app. Enjoy! Giveaway: Win a bundle of New Year Programs for Workout Trainer, the #1 Free Health & Fitness Android App! 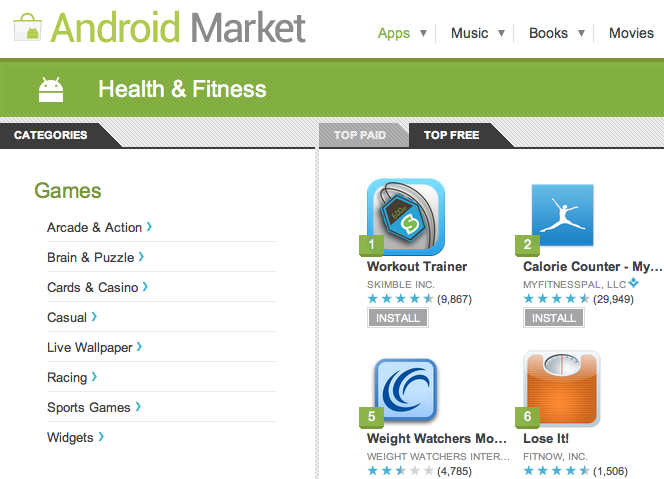 Thanks for making Workout Trainer the #1 Free Health & Fitness app on Android at the start of 2012! We want to show our appreciation with a giveaway consisting of a bundle of Programs for the New Year. Want to Get Off the Couch? Be Fit, Flex & Fierce? Get a 6-pack toned Abs? Stay Slim & Trim? Be your Tough & Buff best? We’re here to help you achieve your 2012 goals. 1. Like our contest post on Facebook! I wanna WIN a New Years program pack for Workout Trainer, the #1 FREE Health & Fitness app on @Android – http://bit.ly/xJpT2R via @skimble Retweet to WIN! Make sure you only tweet the message once, or you will be disqualified. We’ll choose winners at random and contact them when the giveaway is over. Anyone over 13 years of age is eligible and must have a Skimble membership to Workout Trainer on their own Android device or iPhone/iPad/iPod Touch to be able to activate their bundle of programs. Each winner receives a bundle of Skimble’s New Years Programs, MSRP $50 USD. There will be at least three winners announced. The contest giveaway starts now and goes through the weekend. The contest will end Mon January 16th at 6pm PT and winners will be announced in this blog post shortly after — good luck!